The BCCI's tender process to award fresh media rights for the glitzy Indian Premier League (IPL) has been thrown into jeopardy after the Supreme Court-appointed Lodha Committee sought further clarity from the cricket board about the duration of the media "rights period", making it amply clear that no independent auditor will be appointed before 25 October. The BCCI's global media rights tender, which comprises broadcast, mobile and internet rights, was supposed to be opened in Mumbai on Tuesday, with 18 companies, including social networking giants Facebook and Twitter also buying ITT documents. In the present scenario, BCCI will not have any options but to defer the tender process. 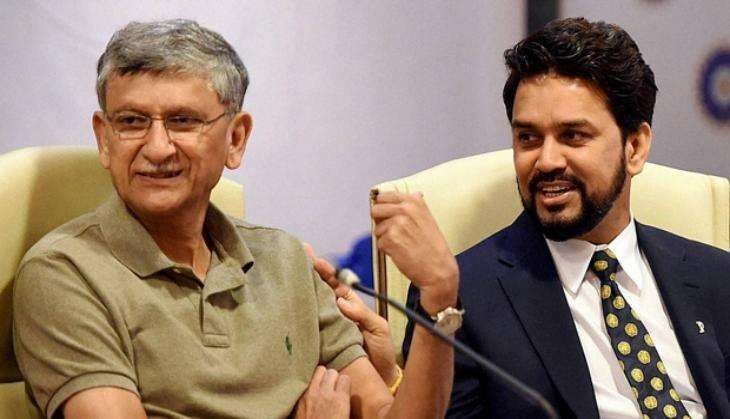 BCCI secretary Ajay Shirke had written a letter to the panel seeking directives as to whether an independent auditor as directed by the Supreme Court will be appointed before the bidding process begins. In a letter written to Ajay Shirke, panel secretary Gopal Shankarnarayan wrote, "Before the committee proceeds to issue any directions, it would need to satisfy itself that the BCCI administration is willing to comply with the Order of the Hon'ble Supreme Court dated 21.10.2016. As you can understand, this would be necessary in view of the BCCI's stand concerning the earlier order of 18.7.2016." to unreservedly comply with the Order of the Hon'ble Supreme Court dated 21.10.2016," it said. reads as follows: 1) The BCCI has already declared the process of a global tender for the IPL rights, where the previous 10-year rights contract ended with the end of IPL season May 2016, as it was mandated to do so by the expiring contract." an end? b. When does the next Ten-year rights period commence?" There is a school of thought as to why BCCI is in a hurry to go through tender process as it will come into effect only from 2018.